Quantity: Whether you need large volumes or a quantity of one, the metal stamping process gives you uniform precision at high speeds and low cost. Part formation: The metal stamping presses must be capable of simultaneous or continuous stamping, pressing, cutting and forming of both two-dimensional and three-dimensional parts. Cost-saving production: A metal stamping service is able to produce material-intensive parts at greater production rates than traditional methods, such as casting, die casting, forging, fabricating or machining. Because the metal stamping dies cost less than other tooling required for these methods, you save in production costs. Part quality: By designing your parts for sheet metal stamping, you greatly improve their quality, accuracy, function, appearance, and wear life. Your parts can be made of harder and more resilient material than other processes, such as stainless steel, nickel, aluminum, brass, bronze and galvanized steel. Stamping presses: They are available in a wide variety of sizes, tonnage capacities, stroke lengths and operating speeds. These factors activate the metal forming with precision, force, and speed. 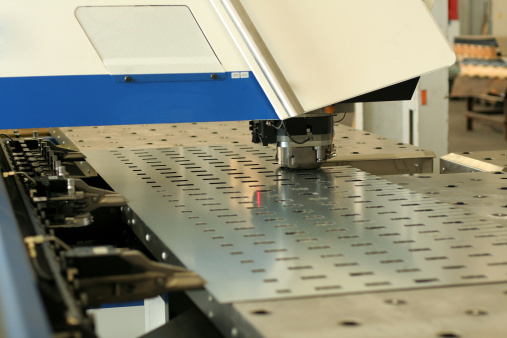 Whether you need laser, painting, plating, heat treating, welding, etc., your sheet metal stamping supplier of choice should have the tools, personnel, processes and equipment to provide you with parts and assemblies of the highest quality, on time and at competitive prices.